Using this DMG viewer tool, users can view and read all the emails from Mac DMG file on any Windows Operating System. DMG Reader Windows tool can extract mail files from Mac OS, which generally includes EML, EMLX, or MBOX on Windows platform very easily. 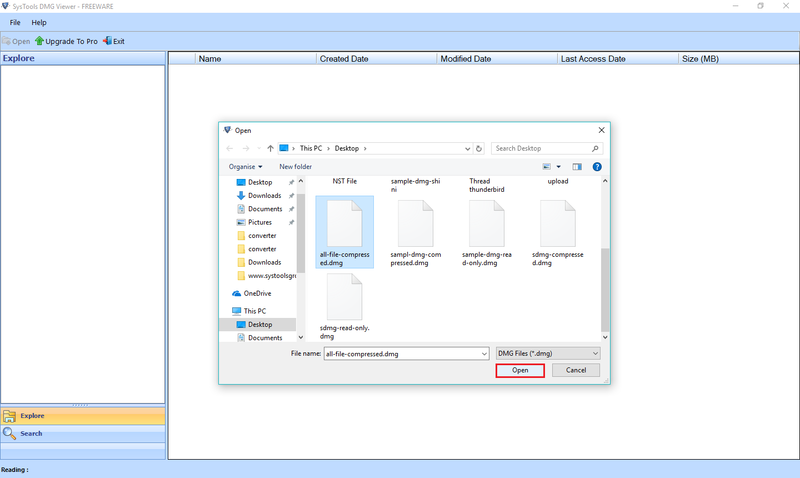 This DMG file viewer software is designed in a way that it permits its users to open, view, and extracts data files from a DMG file in Windows Operating System even if the file is encrypted. This tool allows users to read the files, which are password protected thus, it is widely used software. One of the best features of DMG viewer software for Windows is that it provides so many options to make the task quickly. This tool provides an option to filter the files out of all the available files. Users need to click on “All” to view all the mails or “Select File Types” if they want to define any specific file and to read that file only. The DMG file reader utility provides two options to add the file. Users can add the DMG files one after the other to the software. For this, they have to choose the option of “Files" mode or they can choose the entire folder by clicking on the option of "Folder" mode. Therefore, it totally depends upon the choice of users to select the mode. DMG file Viewer tool does not only provide the facility to view the files of DMG but maintains the hierarchical of the folder or files. It shows the files in an arranged way in the preview pane. 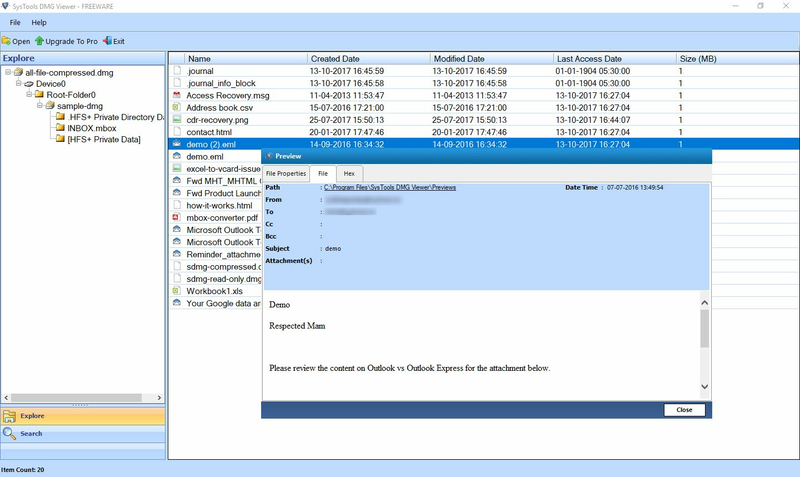 Once the files or folders are chosen it will show all the details such as Name, Size, Created On, Modified Data and Last Access Date on right pane. The DMG file opener software consists of a link to "Preview" corresponding to every email with the help of, which users can check different views of a message. These different views include Normal Mail, Attachments, Hex, Properties, Header, HTML, and RTF. Therefore, it becomes very easy for the users to see any kind of view of DMG files. DMG file format is basically disk image files whose primary purpose is to installing programs on Mac computers but because of their superior compression and encryption support they are also used for file compression. View MBOX, EML and EMLX Email Format compressed within DMG File. Searching is easy and versatile, just provide the keyword you looking for within the dmg file and the software will search it and show you if it exist anywhere in the dmg file. So basically the DMG file Viewer will take care of you whenever you have a DMG file on Windows Environment. No matter if it is corrupted, it will show you all the emails perfectly. Deleted emails recovery is also possible via the tool. How the DMG Viewer Tool Works? 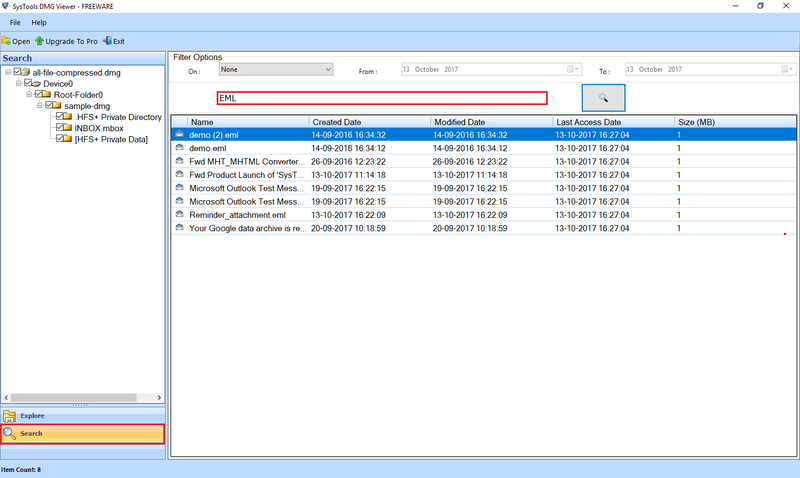 Demo version of DMG Viewer software to extract & open DMG file in Windows show the preview of EML, EMLX, TXT, GIF & HTML file type. Free trial version doesn't save the data. Can the DMG viewer software extract email header of a DMG email? Yes, you can choose to view the header part of the selected DMG email with DMG file viewer Tool. Can I choose all the files like EML, MBOX, and EMLX instead of choosing a particular file type? Yes, this DMG file opener software provides an option to view all the file types and for this, you need to click on “All” option. Does the DMG file viewer software allow to view the attachment as well along with the emails? Yes, indeed you can view all the attachments of DMG emails as well using this dmg file opener software. Does the DMG viewer tool require the installation of any other application to view the DMG files? No, it is a standalone utility and is independent. Therefore, you only need DMG files to read them via this DMG file opener tool. Finally got what looking for, after so many hit and trial a worthwhile DMG file viewer software capable of extracting MAC dmg email files on Windows OS. Nice job keep the good work. 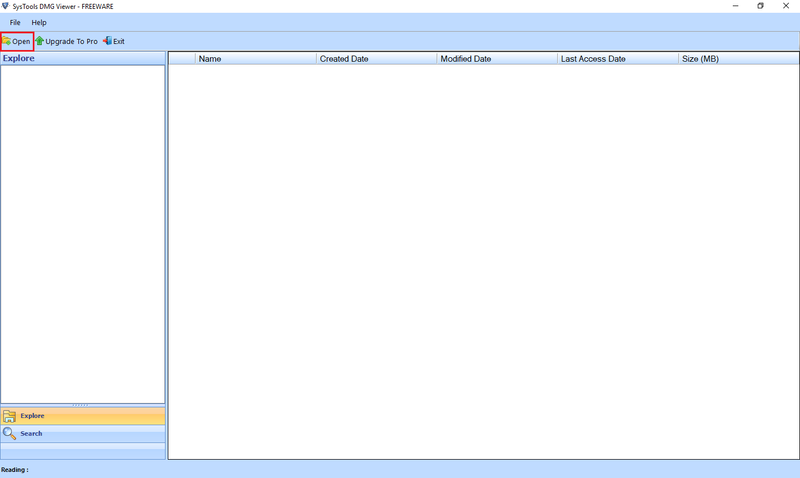 DMG Viewer is a handy tool and I guess should become an indispensable part of email management for the administrator. Super easy to use and light weight highly recommended to everyone. DMG Viewer tool is very much helpful in viewing DMG files in Windows Operating System. The filter and search options provided by the software are truly deserved appreciation. I want to like to thanks to the whole team who are behind creation of this wonderful utility. This tool has made it easy for me to investigate Mac data and read DMG files in my system. I have used the tool to view the email header of a file. One thing I want to confess is that I cannot rely on any other tool to view the data files of DMG on my machine. I am in love with this software.